Read more about 서역영웅 on our blog! As good as a strategy game can be! If you love strategy games we have some good news: you are about to get into an addictive world just the way you like it, with units to control, missions to complete and opponents to overcome, in a world filled with magic and intense fights! 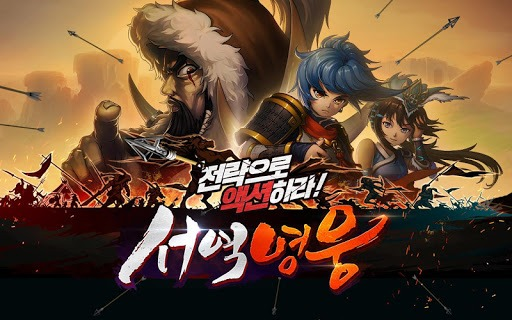 Play 서역영웅 on PC with BlueStacks and put you tactical skills to proof as you get in touch with a title with all the classic commands and objectives typical of strategy games. Do you have what it takes to e smarter and see on the long run? Well, it’s time to take your chances and prove it! Develop your characters as they grow stronger at each achievement, increase their power and get ready to defeat the most powerful enemies, in beautiful scenarios and an amazing gameplay! 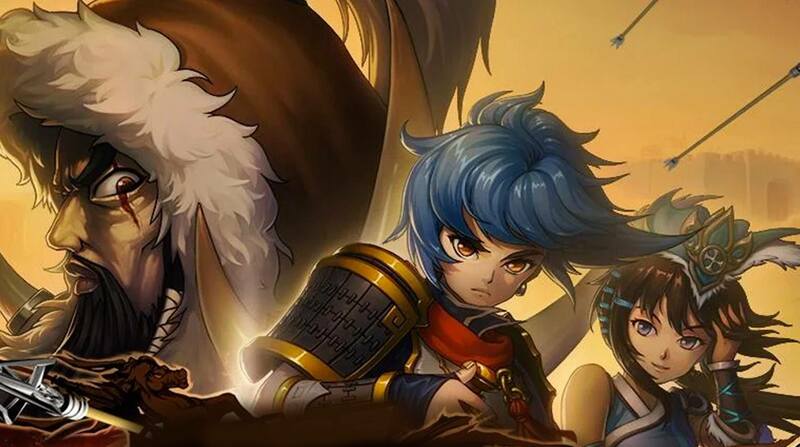 Download 서역영웅 on PC with BlueStacks and enjoy maximum freedom and the ultimate gaming experience available! 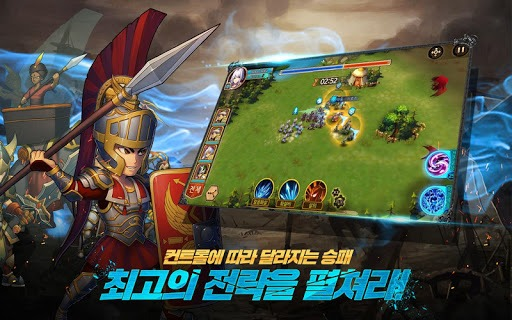 Why play 서역영웅 on Bluestacks? Play 서역영웅. Redeem your BlueStacks Points. Get rewards! 서역영웅 is a game that comes equipped with OTB(Out of the Box)/Ready to play controls to help you squeeze out every little advantage to beat your competition (Or play comfortably if the game is casual). 6 You're all done! 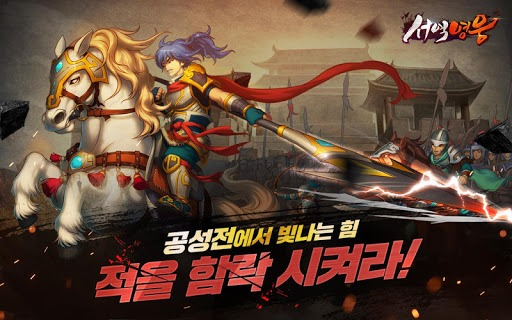 Enjoy playing 서역영웅 on your PC. Talking about strategy? Nothing gets better than having the new and improved BlueStacks 4 by your side! 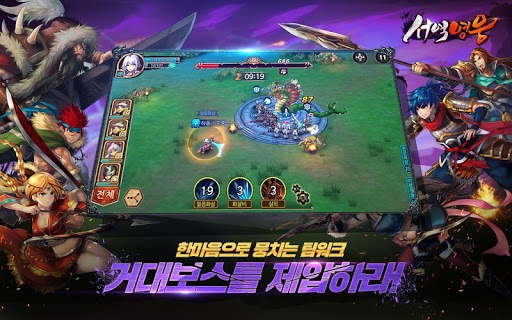 Download 서역영웅 on Windows 7, 8, 10 with BlueStacks and take your gaming to the last level, as you can now have a series of features that will help you overcome any enemy that crosses on your way. Just wait and see it! For example, now you can forget about that touchscreen and play your favorite Android games with all the ease of the mouse and the keyboard. And on the big screen of your PC, with a much more stable internet connection. Beside that, BlueStacks offers the most powerful gaming engine with dozens of amazing tools you can only believe when you see it if your own eyes. Get prizes for collecting BlueStacks Points, open different apps at the same time and even customize your controls the way you like! BlueStacks uses all the potential of your hardware and transforms your PC into a super powerful gaming machine. Make the world see you! If you are looking for interaction, then you should read this. BlueStacks brings social back to gaming, as it allows you to stream your best moments live, with just one click. Think about it! When you play 서역영웅 on PC with BlueStacks, you can broadcast your performance live with no trouble at all via your favorite social network. You can use the Facebook Live, Twitch.TV or the one you prefer. It’s super easy! Any game will get much better when you get the opportunity to meet new people, discuss the best ways of playing and even making new friends. For us, gaming is that: having the chance of expanding your social circle amongst people who share the same interests! That’s why BlueStacks offers you that possibility. We are committed on creating a huge online gaming community. And you can be part of that!